With the next batch of A.P.C. 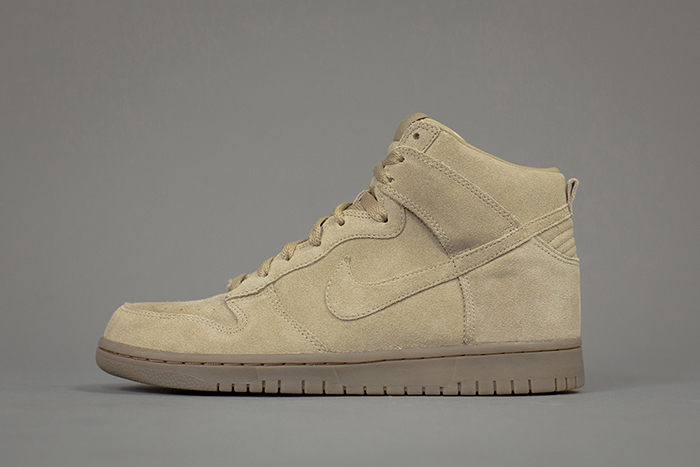 x Nike sneakers hitting A.P.C. 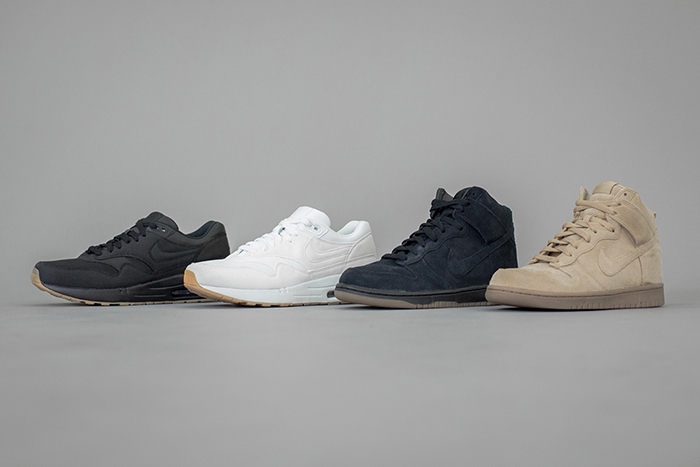 stores tomorrow, we take a look at the collection in full. 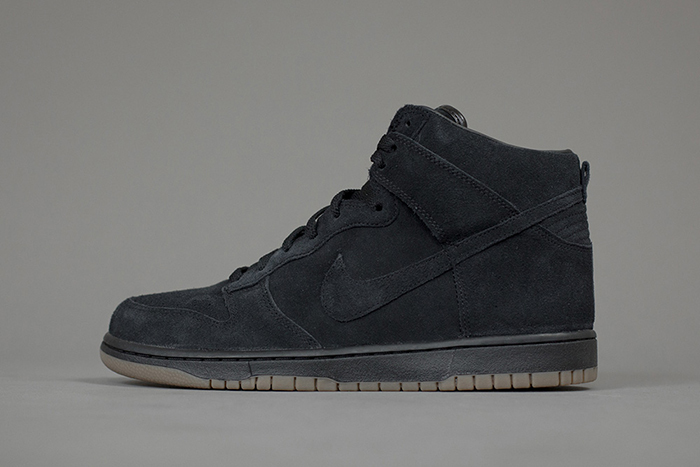 Consisting of a Dunk High and Air Maxim 1, both in two colourways, this is a much larger drop than the first, but still remains concise. Keeping things tonal with gum outsoles, A.P.C. bring their heir of class to the project like they always do. 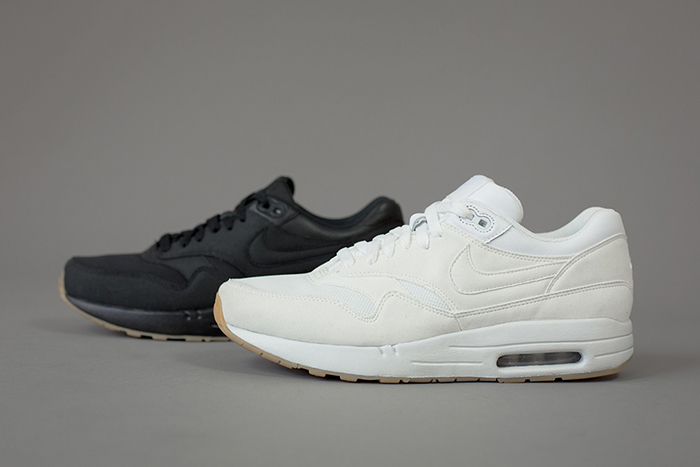 Word is that the women’s version of the Air Maxim 1’s in this collection both feature a white midsole. 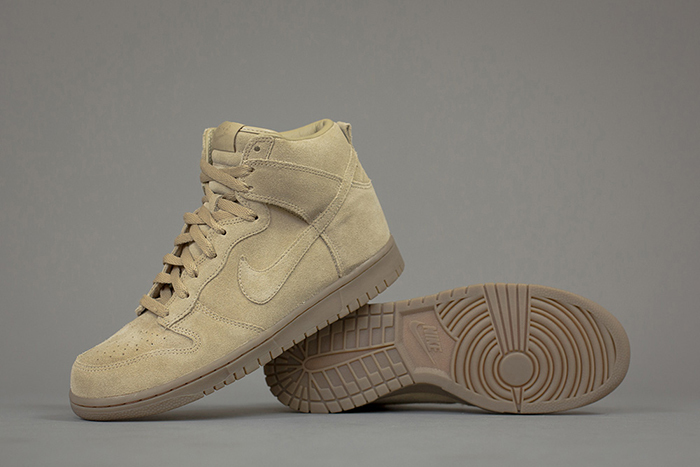 The Dunk High appears to be made from a really nice premium suede, something that unfortunately cannot be said of the Air Maxim 1’s, which appear to feature Nike’s not so popular “soft suede” material. Leather trims on the Maxims and a nice mesh toebox go some way to making up for this, but it still would have been nice to see a good quality suede being used here. The off-white Air Maxim 1 has to be our pick of the bunch – this one will be breaking necks for years to come. The tonal branding on the tongue tab is really nice and always looks good, but it’s the branding on the insole that really stands out to us. Unfortunately you can’t see it in these pics, but you can in the preview image we feature at the beginning of the month. The collection will be hitting the A.P.C. London store on Redchurch Street tomorrow morning and most likely won’t be around long if the last one is anything to go by. 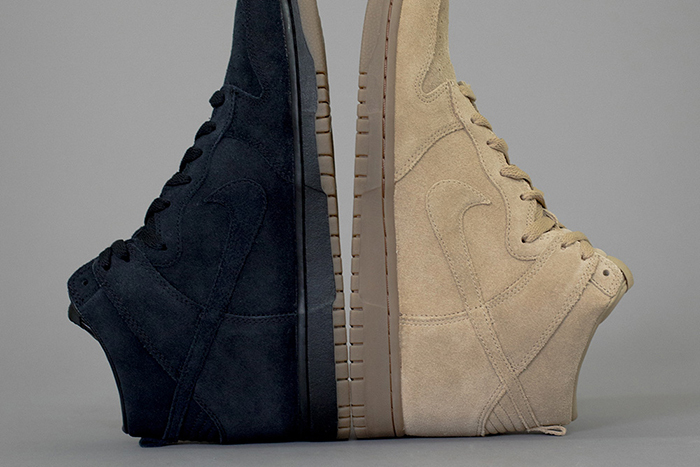 Liking this… especially the dunks. 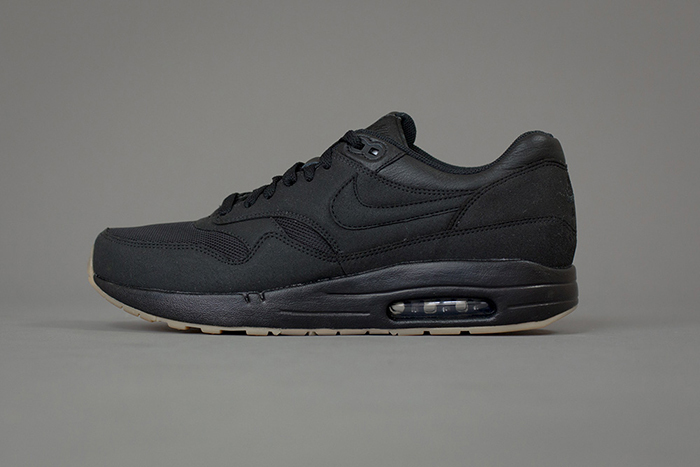 But …… I have to question how the degradation of the AM1 silhouette has become more apparent over the last few years. Just what exactly is going on with the toebox? Almost curling up like some kind of Aladdins slipper! 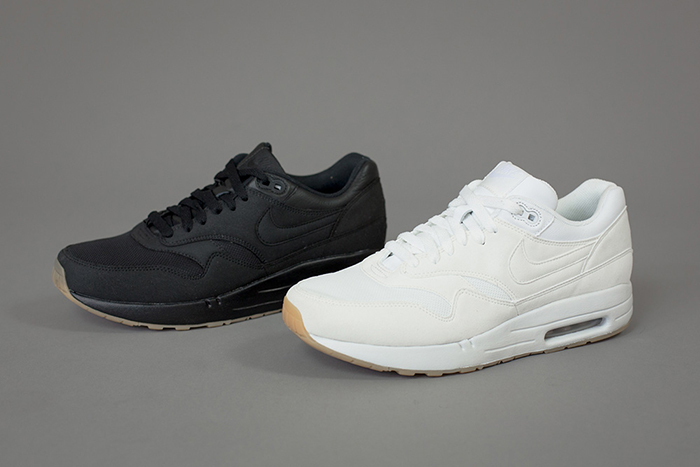 They have gone from being a great classic to now not being too far off from looking like a pair of clogs! The shape looks horrendous in the pics that show the side profile. Come on Nike, pull your socks up and sort your manufacturing templates out. Shame really, because that aside, the shoes look great. 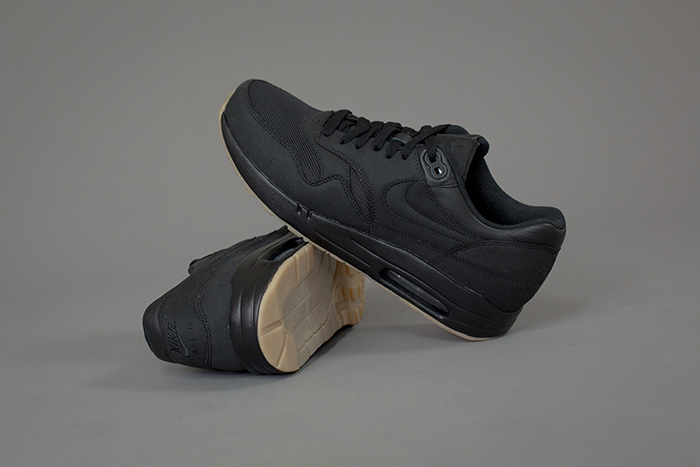 Same goes for those Air Maxim 1 SP’s that dropped a few weeks back – a lovely shoe, but the shape is just not as streamlined as it used to be – almost ended looking like a special needs correctional shoe when i tried it on – and that’s with me being a quite average size 9. God forbid how they would look in a 10 or 11. That ‘OG’ Huarache re-release also suffered from the same toebox affliction, although maybe not as severe as some other stuff I’ve seen. Big up APC though, one of the few brands always coming with some heat. I can’t understand the excitement over the 1’s in this release. 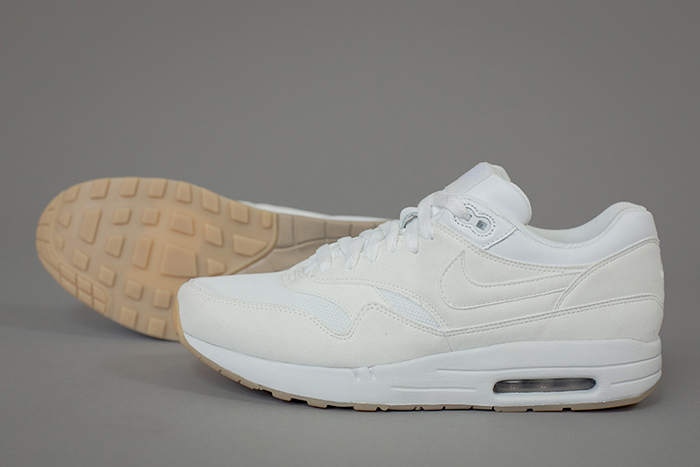 Don’t get me wrong they’re a nice shoe, very clean cut in colour choice, which is trademark of A.P.C and their quality. But, aren’t they just a pair of black or white 1’s with a gum sole, which we have seen before? Correct me if I’m wrong, the materials may be of a higher quality or have something about them, I may not have realised. Anyone shed any light on this?